Tips and insider info for chooing your best catchers mitt and protective gear, featuring recommendations by PJ Pilittere. 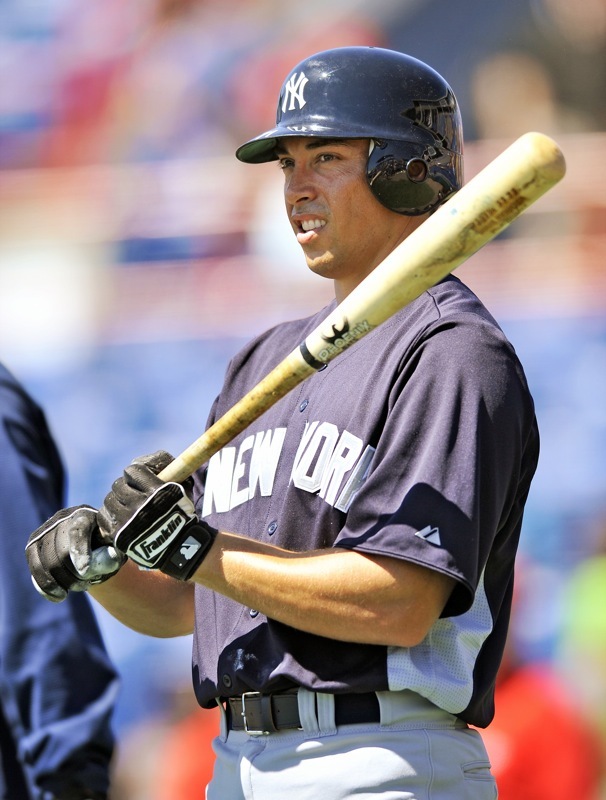 PJ was drafted in 2004 by the New York Yankees and spent 7 years as a professional catcher. He retired after the 2011 season and took a position as a coach in the NY Yankees organization. Things to think about when choosing your best catchers mitt. Leather Quality. Quality leather is extremely important for catchers mitts. Most catchers do not like when their glove gets too flimsy. Cheaper leather loses its shape and strength, making it harder to catch baseballs. Also, good leather makes a loud pop when you catch the baseball (pitchers love the sound). Quality leather stays stiff longer, making for a longer break in period, but it lasts longer. Break in time. Some gloves come with more shaping/break-in done at the factory before the glove is purchased. This means means the glove will be game-ready faster. Some guys love this. Others, like myself, prefer to break in gloves themselves. Palm protection. Some guys like extra padding in the palm area of the glove, while others do not because they feel the ball better without it. You get what you pay for. When you buy a nice glove it may cost a little more, but it will cost about the same if you need to buy two average gloves because the first one broke down. The Big Four. 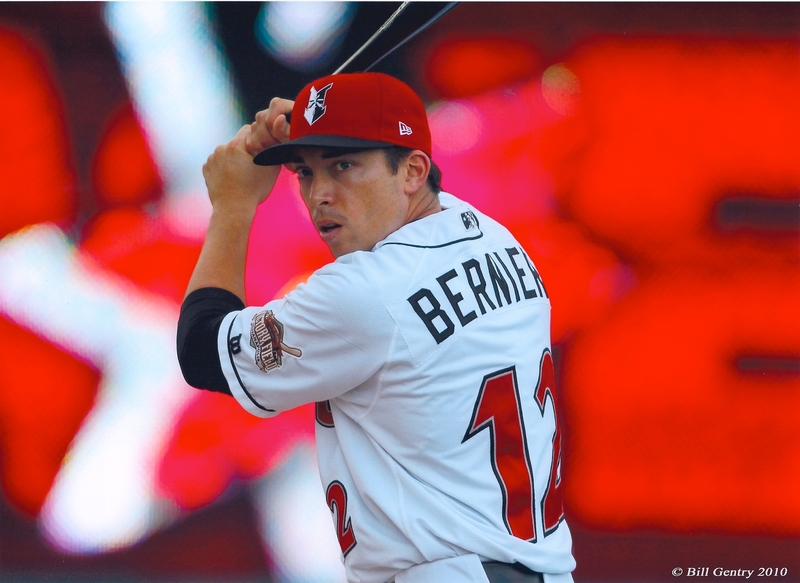 In the pros, you really only see catchers using Rawlings, All-Star, Louisville Slugger, and Wilson gloves. These models are time-tested and the quality is there to make them worth the higher price. They’ll last longer so you’ll buy fewer gloves in the long run. Also, stronger leather means fewer mistakes in the field. The break-in ratio (% Factory / % Player) tells you if the leather is going to be harder or softer when you pull it out of the box. Some players like to know that the glove is almost game ready when they pull it out of the box (Factory %). Other players like to do the breaking in themselves. They feel the glove lasts longer and is more conformed to their specific preferences (Player %). Made of high quality Kipskin leather. Has extra palm protection reducing ball impact. One of best catchers mitts on the market. Has mesh on back of fingers and thumb making mitt feel lighter. The quickest break in catchers mitt they offer (25% player break-in). Almost ready to go out of the box. Made from Heart of the Hide soft leather. Comes with extra palm protection reducing ball impact. Remember, you’ll sacrifice some durability for a quicker break in. Where to Buy – Baseball Monkey | Amazon (We like that Baseball Monkey has free shipping over $49 and they have a 30 day free return window. Amazon usually has a good selection as well as older models that may be harder to find on other sites. One of the most used and trusted, best catchers mitts around. 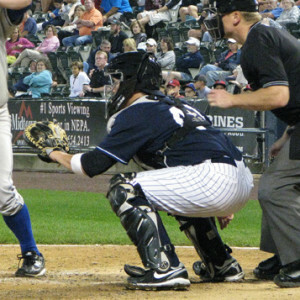 The 3000 series is used by many professional catchers. Exclusive Japanese tanned leather gives it a relatively quick break in and good durability. Black leather in the back is stiffer helping with durability. Note: Don’t get the 3000 series confused with the 3100, 3200, or the 3030 series. The 3000 is their “Pro-elite” series and by far the best catchers mitt sold by All-star. Most premium glove model they offer. Easier break in and very durable. Very durable. This one will take a little more work to break in than the A2K. The “SS” on the end of the model number (A2403 1790-SS) stands for “SuperSkin” which is a synthetic material. The superskin on the back of the fingers and thumb is half the weight and twice the strength of leather. It means a shorter break in time and repels moisture. Takes some time to break in. New this season, the laces in the pocket are covered with a reinforcing piece of leather to minimize wear and tear. Made of top grade oil-infused Horween Leather. Takes time to break in, but when it is ready it makes for a nice and long lasting mitt. Premium grade shutout leather shell. ClipEdge design brings extra stability to the thumb and pinky. There are a number of pros and cons to consider when choosing the right catchers mask for you. Not least of those concerns is safety and functionality. One important thing to note is that there is some controversy right now about which type of mask offers more protection against concussions, though there doesn’t seem to be any definitive answers yet. Both styles have been evaluated and have safety standards issued by the National Operating Committee on Standards for Athletic Equipment (NOCSAE). Manufacturers can voluntarily subject themselves to these standards in order to get the NOCSAE certification stamp. The traditional catchers mask is not as widely used as it once was, but it is still preferred by many pro players over the newer hockey mask alternative. First developed in 1876 as an adaptation of a fencing mask, this style catchers mask has been around for a while. Some people believe it is better for avoiding concussions because it is designed to come off the face f needed. This theory says if baseball hits the mask with the right momentum – the mask can fall off and supposedly that the head from having to absorb all that momentum. 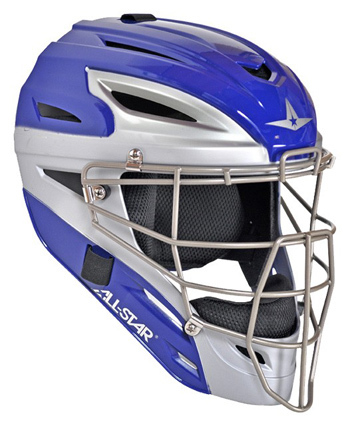 The hockey-style catchers mask is a newer invention, and is favored by many pros over the traditional mask. Some of the pros of this style include better coverage of the face and sides of the head against back swings, and better visibility for certain common catchers moves. It may also be better at dispersing the force of a square hit to the face. *Disclaimer* The information contained here is anecdotal and should not be considered safety advice. Amazon – Free 2 day Shipping with Amazon Prime, Free returns within 30 days and you can track your item as it ships. THANK YOU! 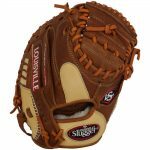 If these tips for choosing a good catchers mitt were helpful, we hope you will help support this site by using our affiliate links to go where ever you buy your glove. Anytime you click one of our links, that retailer gives us a small percentage of whatever you buy in the next month or so – and it doesn’t cost you anything extra at all. Good post. I’m a big All Star fan, for both catcher’s gear and for their mitts. However, I’m also intrigued by Nokona. Seems super high quality and made in the US, which is a plus. What do you think about Nokona’s gloves and mitts? 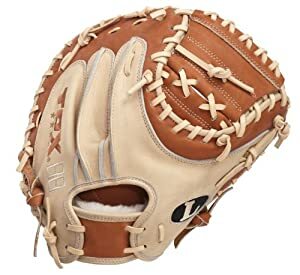 I have almost 13 yr old twins , both are outstanding catchers , and I am looking to invest in ALLSTAR gear , because I have read alot regarding the quality and protection, plus it looks really cool too, lol. I am not quite sure what size their current catchers mitt is, but would you advise a 32.5 or 33.5 at this age ? They are both 5’5 , 5’6 right now if that helps. I was thinking 32.5? They both like throwing out runners, so this size would probably serve well for that? They can take turns practicing their pitching while breaking in their new mitt, so hopefully break in time will be a bit quicker. Thanks for the question. All-Star gear is preferred by most catchers I have talked to and played with. Just an FYI, but Under Armour catchers gear uses All-Star but puts their logo on it. I am not sure pricing but they both use the same gear. Now for the mitt, first off, all-star mitts break in pretty quickly which most catchers like. A 32.5 is a pretty small catchers mitt. If they do a pretty good job catching balls and they are ok with a smaller glove that is fine. The size of a glove or mitt is totally personal preference. The most common size I see with pro players is 33.5. It might be good to go to a sporting goods store and try on different sizes so you are sure what size they would like, or if you bought it online and it didn’t seem like the right size, it can always be returned for a new size. All sizing is the same regardless of the company. It can be tough to share gloves because everyone seems to break in a glove or mitt a little differently. But you can always try it and they may not even think about that. I hope this helps a bit. Good luck and thanks for writing in. I have been looking for a new mitt and have been looking at the mizuno pro limited edition gmp200. What do you think or have you herd about this mitt? Both are great mitts but kinda in a jam to go to primo or allstar ???? What do you think about the Nakona Mitts? I’ve come down to 2 options for my next mitt. A custom Heart of the Hide with the old school super stiff tan at 34″ and the stock All Star 33.5″. Which one would you recommend? 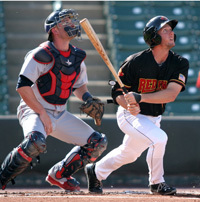 I talked to former catcher PJ Pilitiere who I played with and is now a coach in the Yankees organization. He was saying that it depends on how long you want to use this mitt. 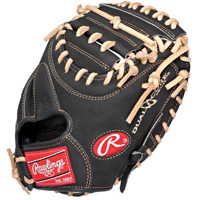 In his experience the rawlings mitt takes longer and is more difficult to break in and shape. But it lasts a while. The All Star breaks in quickly and easily but doesn’t last as long. They are both great quality mitts but it depends on what sort of longevity you are looking for in your catchers mitt. Hope this helps. Thanks Doug. I already have a Rawlings HOH and it’s great but I’ve heard that the All Star has amazing patterns and great leather. I also think that a 33.5″ mitt would be better than a 34″. I’d give the all Star a try but I can get a custom Rawlings significantly cheaper in comparaison to the $325 that the All Star costs. My question is: Does the All Star have better leather/feel? I asked your question to two different catchers. One used the rawlings and one used the all star. The all star leather is going to be a little softer. I can’t say “better” because some people like the softer leather and some people like the harder leather to break in. 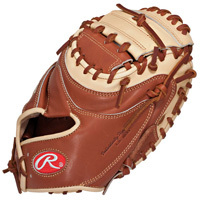 The all star mitt will be lighter than the heart of the hide rawlings, which many catchers really like. Both catchers agreed that they liked the feel of the all star mitt better, but the guy that used the rawlings said that overall he wouldn’t switch to the all star because he likes his rawlings. Its 100% a personal preference, if you aren’t quite sure if you love your rawlings and are willing to pay the extra money to try the all star, you will most likely be very happy. If you will like it better than your rawlings, only you will know that answer. I hope this helps you in your choice of catchers mitts. Thank you very much, Doug, it was indeed very helpful. Im thinking about getting an Allstar cm3000 what size did you use 33.5 or 35? Allstar makes great catchers mitts. I talked to two friends of mine that I work out with in the off season and they (both catchers) recommended and use the 33.5 inch glove. They said that 33 and 33.5 inch catchers mitts are the most common sizes for catchers. 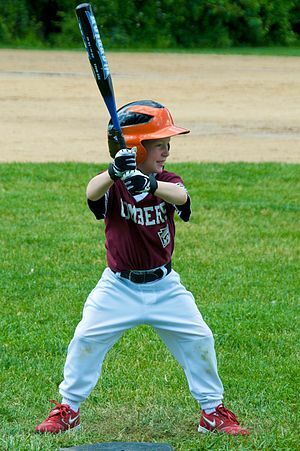 Its a great blend of being small enough to get a good transition when throwing runners out at second and third base. But it is also large enough to deal with pitchers who have good movement on their pitches. 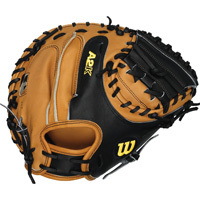 Thanks for the comment about the Akadema catchers mitts. There was another person asking about their mitts and I am in the process of getting reviews from catchers that are using their mitts. I have heard good things and I hope to find out more from some professional catchers that are using their mitts. I know there are a lot of catchers that are in your situation that have a beat up thumb. I know that goes with the job. Some catchers, especially ones with thumb problems, use a plaster mold that slides over their thumb they can wear under their mitt. This will help protect the thumb from getting bent in ways it is not supposed to bend. It would be great if the Akadema mitt helped keep the thumb protected. Thanks for your insight and I hope to know more so I can put it out on our website. Have you tried any of the Akadema catchers mitts. I am looking for a new mitt and have heard good things about them from some of my coaches/friends. 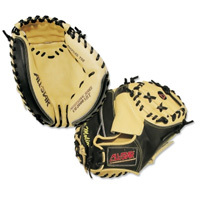 I have not personally tried the Akadema catchers mitts. However, I have played with 2 catchers that use Akadema catchers mitts. They like them. They liked the way they broke in and kept their shape without getting too flimsy. When it comes to Akadema, they seem to be a lot more popular with catchers than any other position on the field. I’ll look into their catchers mitts a little more. Once I get feedback from some catchers about which models they like I’ll add it to the catchers mitt page. If you go with the Akadema write back and let us know how you like it and what model you selected. What size catcher mitt should I purchase for a 10 u player?